I’ll start off with the stickers. Right now, I’m not going to tell how to get them, and that’s only because I will in my stickers post that will be coming soon! 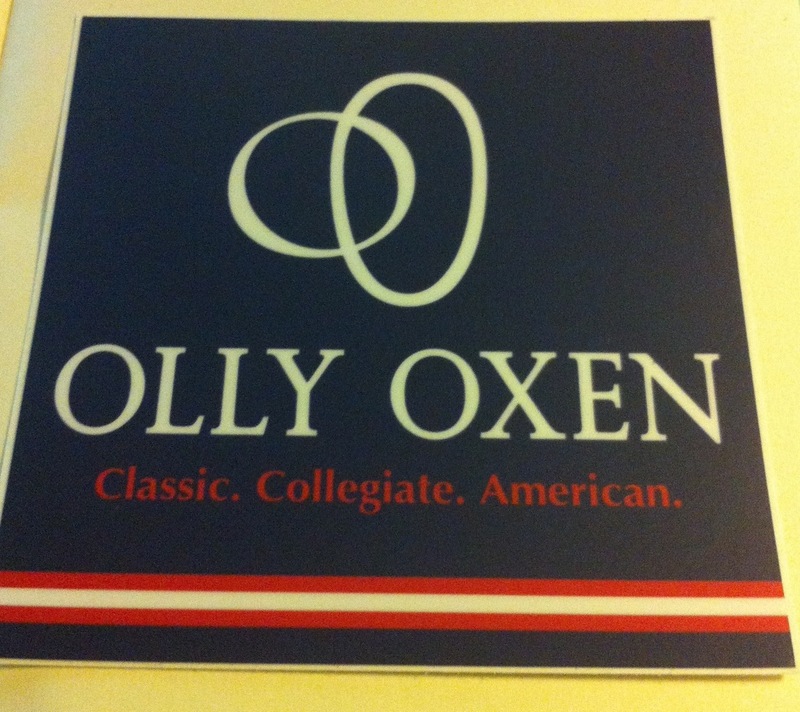 The first company that sent me stickers was called Olly Oxen. 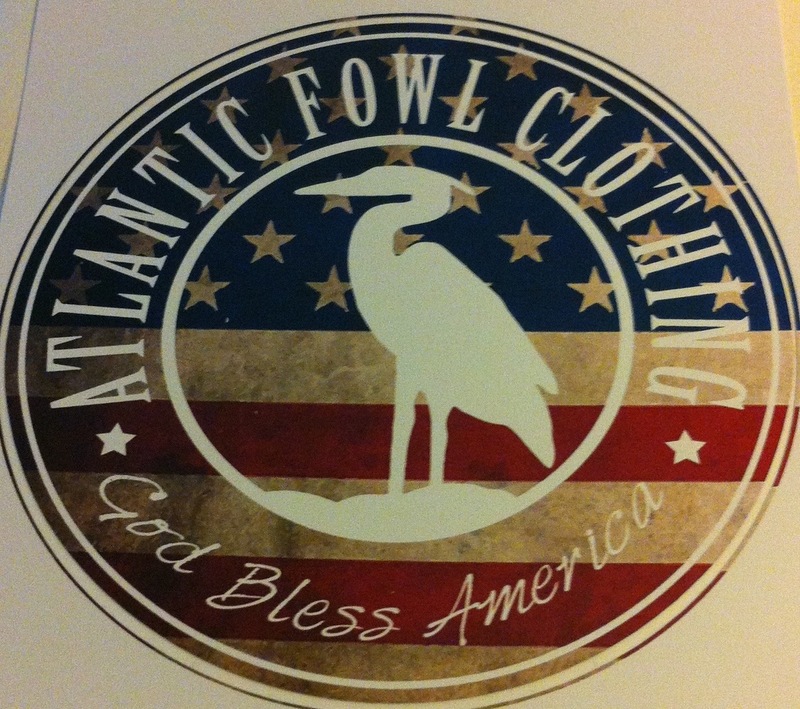 They sell adorable t-shirts and key fobs, as well as any other collegiate apparel you might need. They sent me two of these! 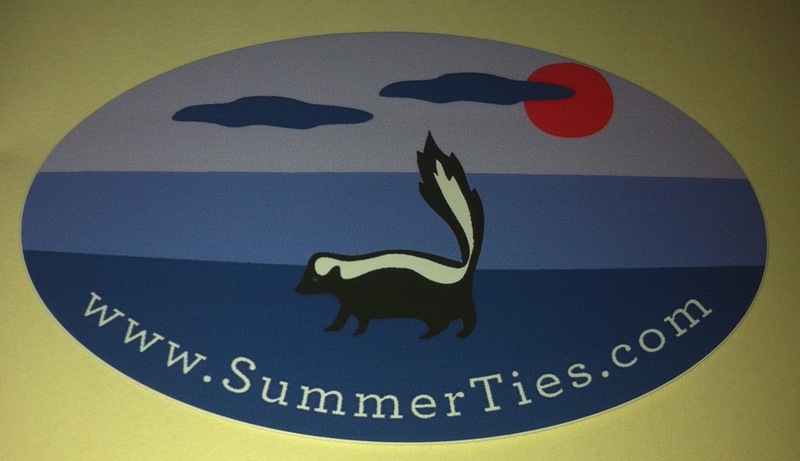 The next few stickers I got were from Summer Ties. 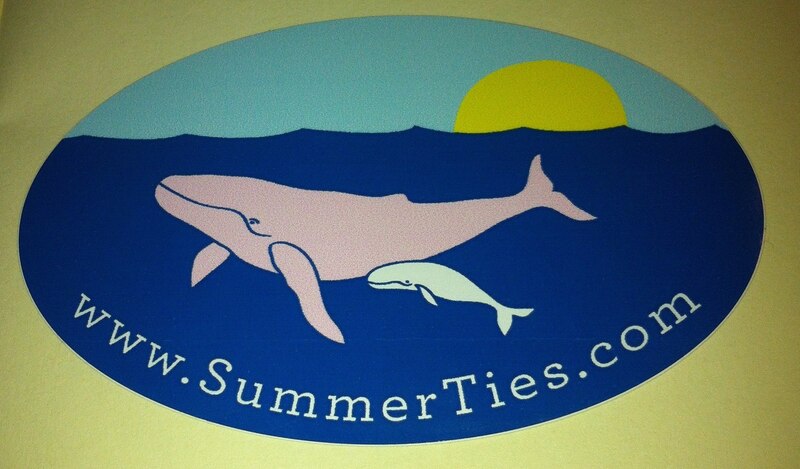 Summer Ties sells adorable t-shirts as well as soft, brightly colored ties. They sent me some adorable stickers! Definitely some of my favorites! 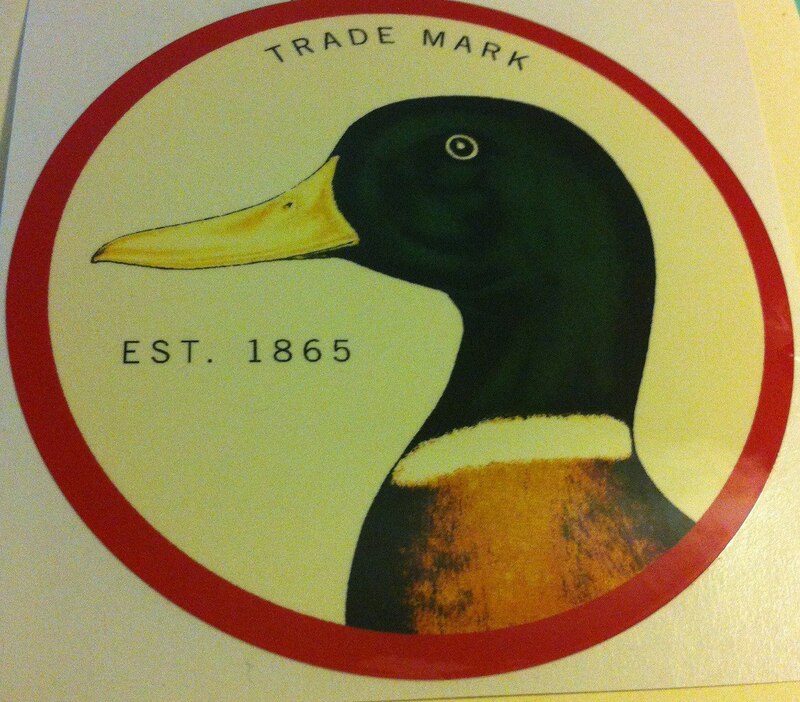 I also got three of these from Southern Marsh! 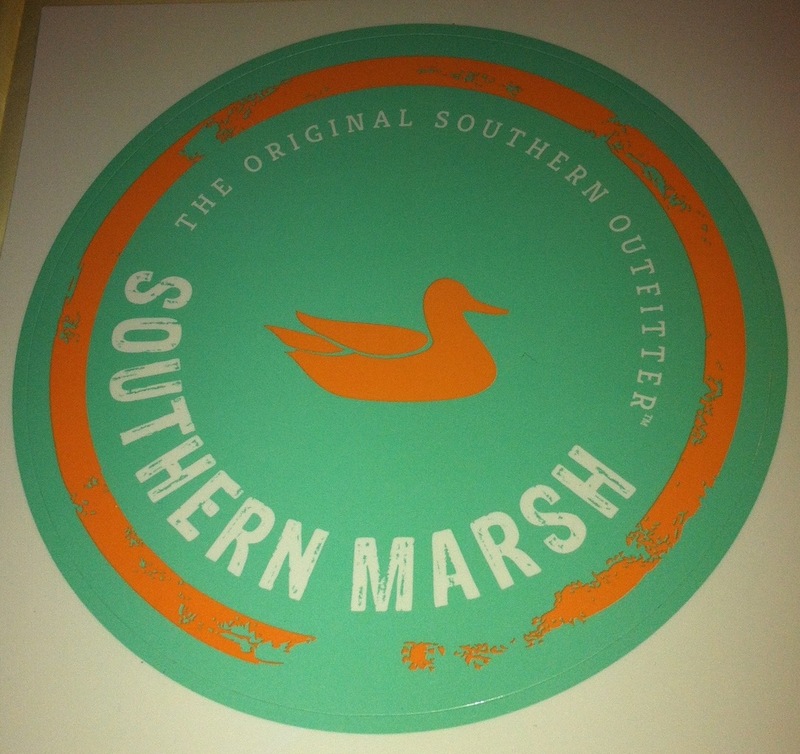 Southern Marsh sells a wide range of things, from t-shirts to jackets. I love the colors- mint green and light orange! 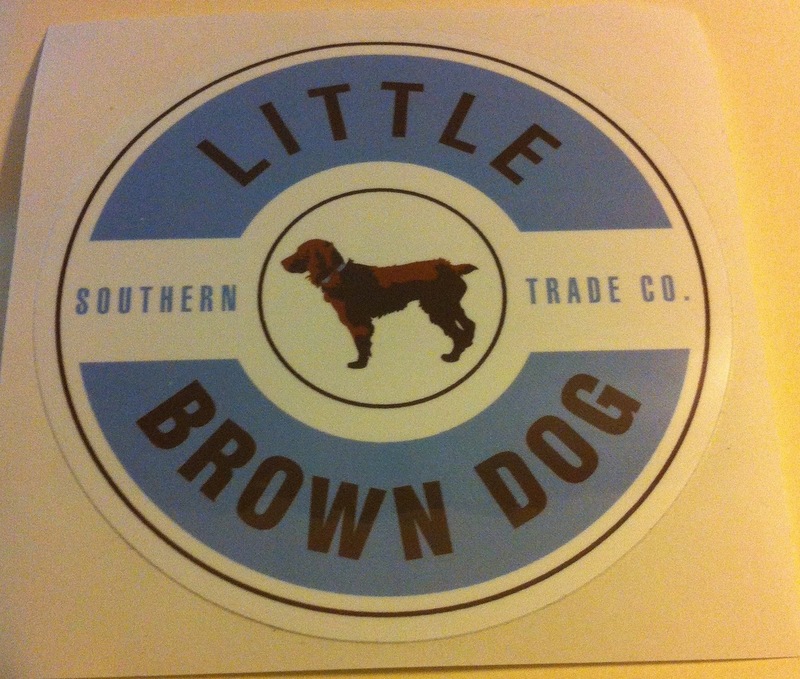 I got this adorable sticker from the Little Brown Dog Southern Trade Co! Isn’t it so cute? I love the dog in the logo! 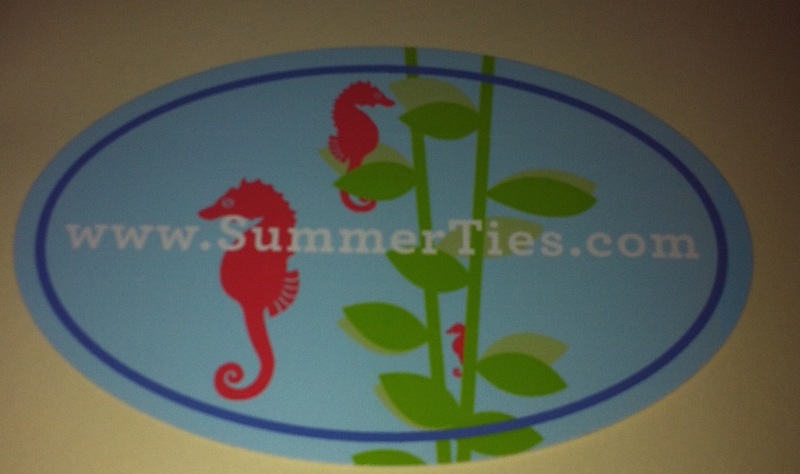 Another company that sent me stickers was Southern Girl Prep. 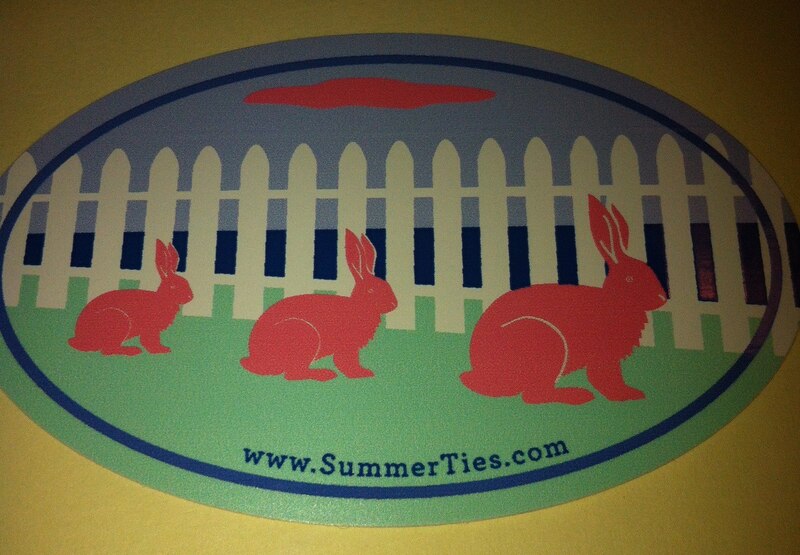 They have adorable clothes and super cute decals, so be sure to check them out. 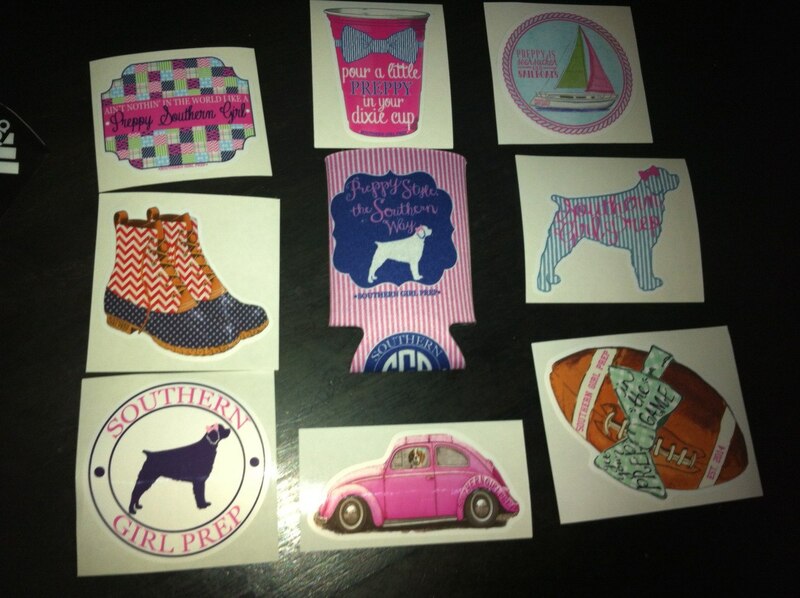 I got some stickers, a koozie, and a sweet handwritten note! 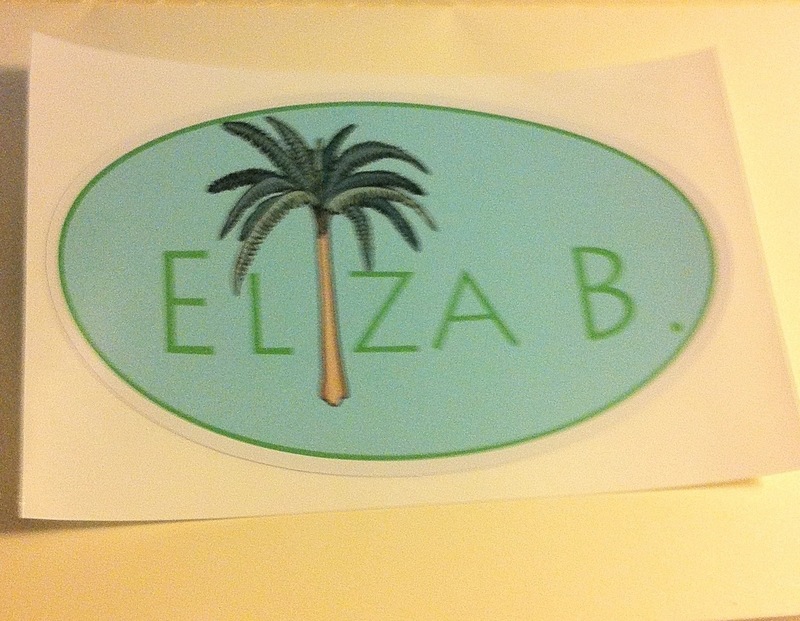 So those were the stickers for this week! I did get a few other ones, but they were really random and unexciting, so I gave them to my brother for his collection. I got a shirt from the Little Brown Dog Southern Trade Co, but it’s a secret (shhh), and I can’t show it yet. 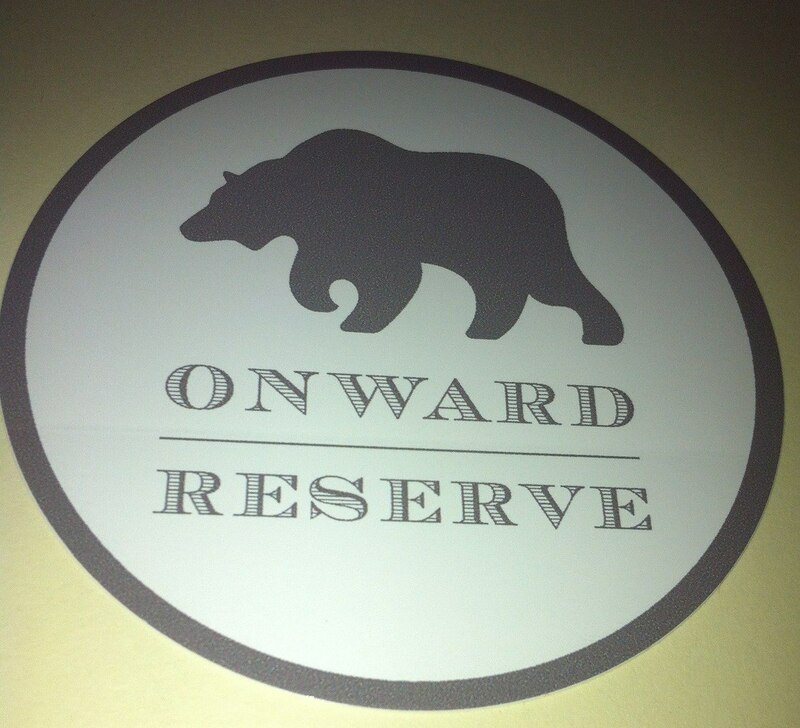 Be on the lookout for a post about their company soon! I am super excited to share about it! The other company that sent me something was Adidas. I was actually really surprised to receive something from them because I had first contacted them about stickers, and they never replied. After they finally replied almost a week later, they told me they didn’t give any out, they were really sorry. I had accepted that I wouldn’t get any, but was so happy when I checked my mailbox on Saturday! 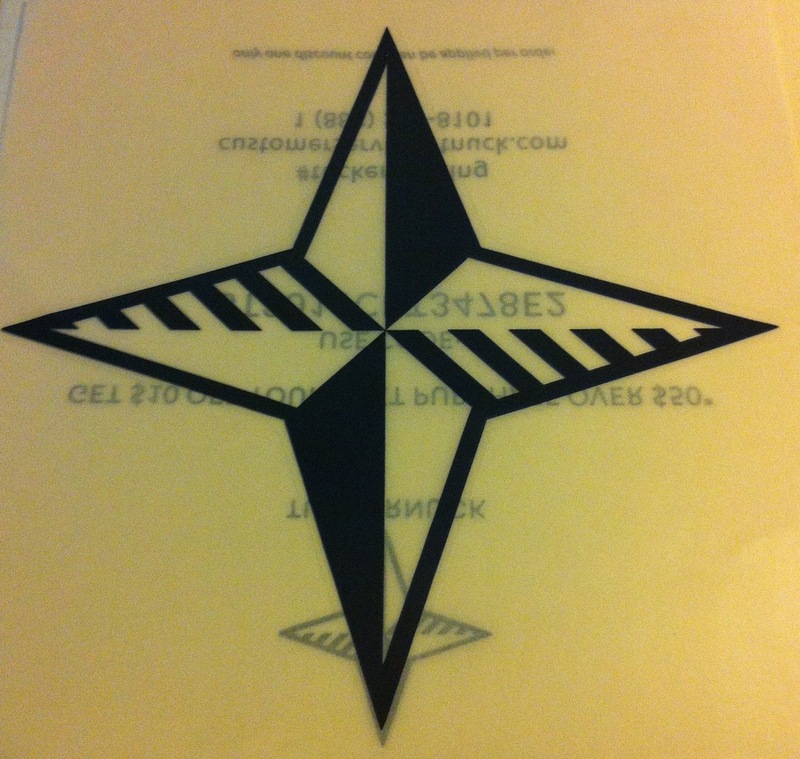 Inside was a thick, white envelope addressed to me! I opened it up before even getting back inside the house, and in the envelope were two of their logo stickers and a six pack of their adorable headbands! I was so excited, because I really like their headbands, but I only have a few. 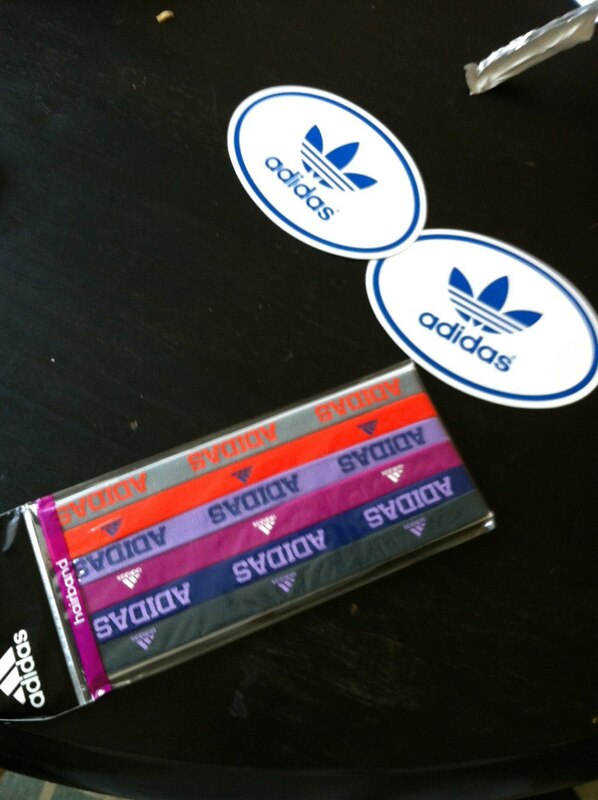 Thank you SO much Adidas, you made not only my day, but my entire week! So I hope you guys liked the first of many Mail Mondays! If you have any suggestions, I would love to hear from you! Please comment any questions, comments, or concerns below! Remember to subscribe and follow! I love your site! Definitely looking forward to more posts in the future! Mail Monday is a great idea, do more of them! Thanks so much! I am looking forward to it also, I can’t wait to show you next week’s mail!